Kemp London was pleased to be contacted by Stunt Dolly, a local hair salon in the Dalston area, who were looking for help getting their branding up in lights. 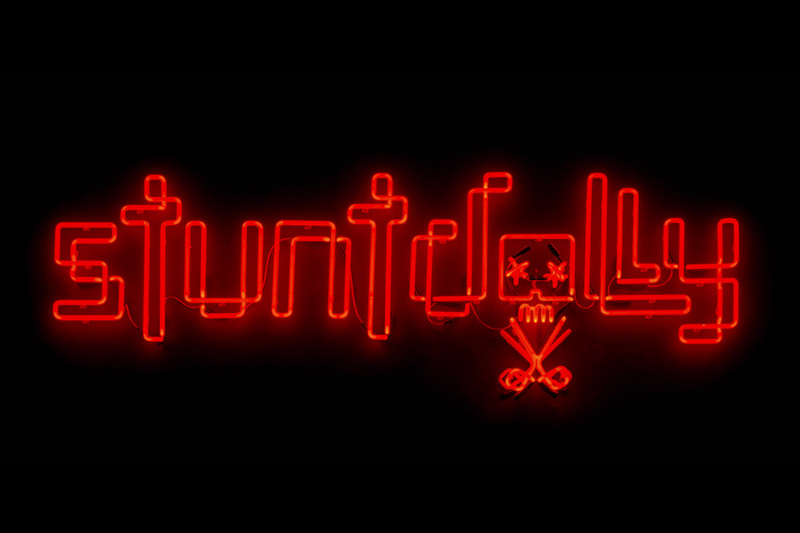 Stunt Dolly had an award-winning design for their logo, which they wanted translated into neon for their shopfront. Working with Stunt Dolly to transform their vision as accurately as possible, Kemp London fabricated the design in ruby red neon and mounted it directly onto a rendered painted fascia. Kemp installed the neon skull and scissors in two layers on a flashing unit, with alternating flashes creating the effect of movement.